Educating our clients has now become the number one priority of Warrant Group regarding challenges facing major UK Ports and the significant difficulty of the UK container haulage industry. An implementation issue of the new operating system in Felixstowe has resulted in the terminal developing significant operational difficulties. 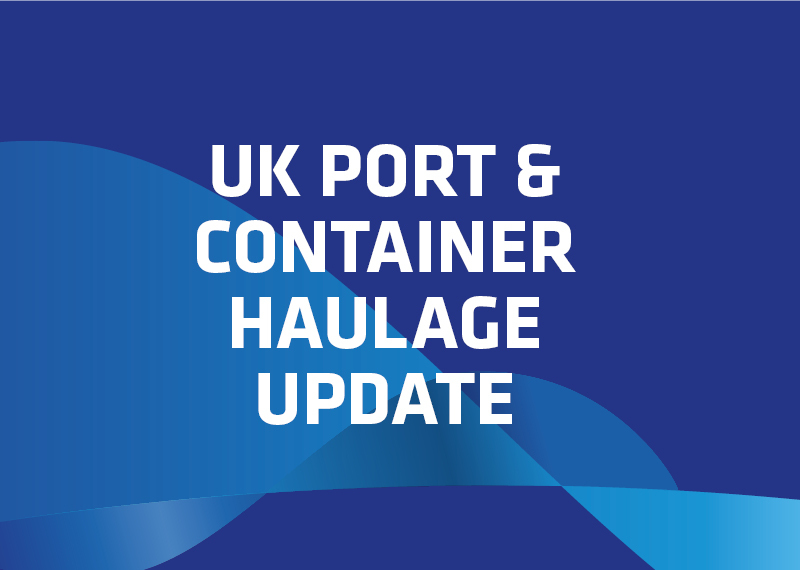 The port has only recently seen gradual improvements, and as a result, carriers are now re-routing vessels to London Gateway, Liverpool and Southampton, which has in-turn had a negative knock on effect to their own day-to-day operations. Driver delays within port areas has significantly reduced vehicle productivity, resulting in multiple failures on planned vehicle routes, with a limited solution approach other than time, the situation will remain critical. Inbound berthing management is now being compromised as we are experiencing for the first time, “vessel cut and runs”, this in effect means containers are being left unloaded. With normal vessel working turnaround times increasingly being lengthened, combined with the typhoon season affecting China has resulted in regular vessel ETA erosion and worsening container availability, ultimately debilitating both our own and carrier delivery planning. The implementation of three new alliances and big box vessels arriving, has squeezed transport resource as demand soars, coupled with highly paid alternatives for drivers from other sectors has meant the market is facing an acute resourcing crisis. Exports management is challenging and complex, a reliance on carrier haulage, the current landscape has no imminent solution due to a myriad of issues that affect container operations. A lack of haulage resource and rail vendor capacity means the merchant haulage market has less flex which impacts negatively on carrier operations and with ETA erosion on vessels housing up to eighty per cent of all UK flows the knock-on effect is more export blockages (for empty containers) as intermodal resources struggle to cope with volatile peak and trough volumes. Logistically speaking, this causes a huge wave of empty rail slots that were planned on a scheduled arrival and the absolute reverse when vessels arrive late. The carrier Alliance split is also proving difficult to manage rail and truck resources, positioning assets close to the centre of gravity is proving difficult, for example, ten per cent of inbound containers arrive into London Gateway with fifty per cent leaving the same port as an export. In summary, from an inbound perspective, even in these unprecedented times having the right approach to solutions design which we have had since day one with rail and road ownership, is a complete “night & day” transformation away from traditional forwarding where there is, still today, an unhealthy reliance on carrier operations, this has proven in the present we believe, to be our huge differentiator. On behalf of our Export lead clients, we remain best placed to work through and work with our carrier basket partners to maintain our exceptional customer service experience.